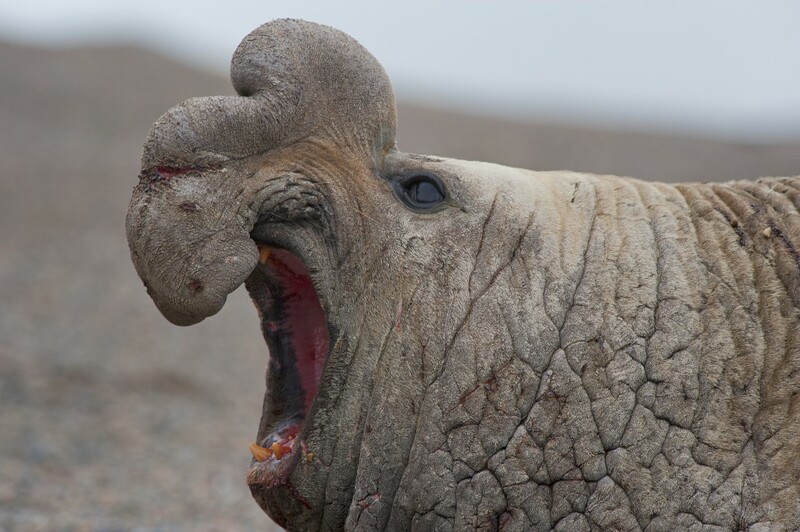 Elephant seals in Antarctica are a fantastic site to behold on any trip to Antarctica and one of the region’s most unique and recognisable species. An Antarctic cruise is an icy safari, with many different species of animals to observe. One of our favourite species is the Elephant Seal, here are some fun facts about these magnificent creatures and the environment they inhabit. 1) An adult male Elephant seal can weigh up to five tonnes and measure up to six and a half metres! Females are smaller and weigh around 7 – 800 kg. 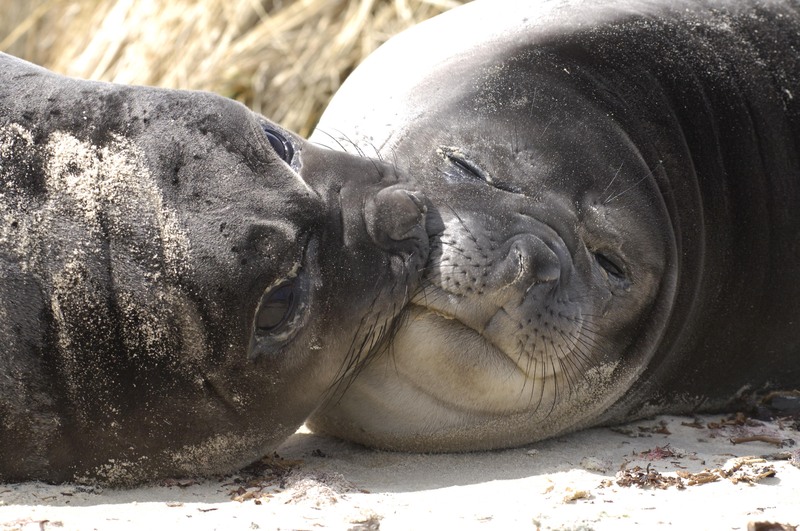 2) The gestation period for a female Elephant seal is 9 months. They have a delayed implantation, which is why babies are born after 12 months even though the pregnancy itself does last for 9. 3) Babies when born weigh around 50 kilograms.. Within 3 months they will weigh 150kg! 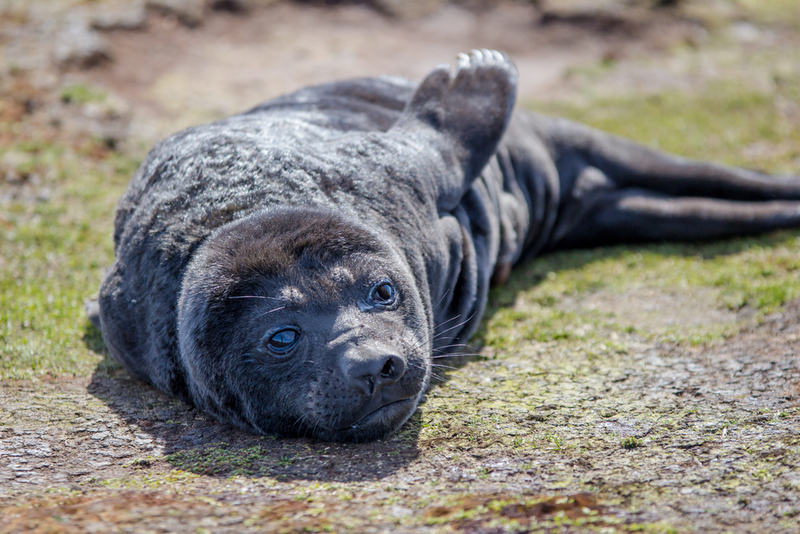 Pups are generally born from September to October when their mothers come ashore at their berthing beaches around the continent. 4) Elephant seals are highly social animals and form large groups or harems for a month during the breeding season. 5) Among the largest carnivores in the world eating squid and fish as the main sources of food in their diet, and have been measured diving up to up to 2000m deep and can hold breath for up to two hours! 6) Elephant seals are one of the strongest living examples of sexual dimorphism (a physical difference between the male and female of a species). Males may be up to ten times the weight of reproductive females. Only 2 – 3 % of male Elephant seals actually breed. 7) Elephant seals can be found across the Antarctic region, but are most prevalent around the Antarctic Peninsula and sub-Antarctic islands. They were hunted for their blubber during the sealing days. London alone used 20,000 tonnes of elephant seal oil to light the city a year. 8) The Northern Elephant seal was thought to be extinct in the 1800’s however, from a small group of animals left, there are now an estimated population of 150,000 which live mainly around the Baja Gulf in Mexico and on the shores of Southern California, USA. These animals have grown from a small group of animals, and do lack genetic diversity, so there are still concerns over the future of these animals. 9) The Elephant seal do have predators, mainly Orcas, and in the northern most part of their range.. Large sharks. Leopard seals have also been known to attack and kill stray young. 10) They are called elephant seals due to a number of reasons, partly because of their size and also partly because of the male snout or trunk that inflates to impress and intimidate rivals when competing with other males for his harem. The trunk is inflated with air which is inhaled and thus a loud bellowing sound is produced. The depth and volume of the sound is a demonstration to others how powerful he is, and thus so avoids fights with competing males. Enjoy the majestic Elephant seal on a cruise to Antarctica, but keep your distance – despite their size they can move fast on land, and are highly aggressive when protecting their territory and young. Generally they are not afraid of man, however if disturbed while resting, reproducing or marking territory they can be a different proposition. Keep clear as per most wildlife you encounter on your cruise. Despite once being on the endangered list, due to protection of the Antarctic treaty, the Southern Elephant seal is no longer in any immediate danger. However, overfishing of Antarctic waters and human activities may in the future see some issues with their native habitat. Thanks to Dr Mikolaj Golachowski for helping put this together. Dr Miko was a lecturer on-board our last PinkTarctica Antarctic expedition to the Peninsula and is a leading expert on Elephant seals and their behaviour. Dr Mikolaj is a native of Poland, and was base commander of the Polish base on the Antarctic Peninsula for several seasons. He graduated at the Faculty of Biology, University of Warsaw and began working there as a researcher and lecturer of Zoology and Ecology in 1995. Want to continue learning about seals, check out this fantastic blog on the Majestic Weddell Seal. All (sub-)Antarctic highlights in one voyage, with spectacular landing sites on the Falkland Islands and encounters with black-browed albatrosses and rockhopper penguins.